No jungle's to deep and no mountain's too high. That's what two of the global telecommunication giants from China - Huawei and China Mobile - did last month. They successfully deployed 4G coverage on Mount Everest, some 5,200 metres above sea level and demonstrated this by streaming live HD video from a Mount Everest base camp to the event venue. This is pretty impressive, considering the engineering challenges the IT companies faced at 5,200 metres high (17,000 feet). Our own Mount Kinabalu is 4,095 metres (13,435 ft) in height. This is not the first attempt at bringing high-speed broadband to the world's tallest mountain as in 2007, the two companies worked together to provide GSM services ahead of the 2008 Olympics Games torch relay. But it's a first for super-fast connectivity, the 4G LTE. Huawei has delivered 4G solutions to other parts of the region including EPC (Evolved Packet Core), integrated equipment rooms, BTS (Base Transceiver Station), microwave transmission and 4G devices. However, Computerworld reported that the company is still struggling to win approval in the UK and the US, due to its close ties with the Chinese government. Huawei's founder, Ren Zhengfei, is a former Red Army officer, but the company denies receiving any financial support from the government. Huawei has been banned from doing business in the US and blacklisted from Australia's critical national infrastructure. Our telcos are still far behind in terms of deploying 4G LTE connectivity in this country. Instead of collaborating, they make life difficult for themselves by refusing to share the burden of putting up the network infrastructure. Well, they shares some communication towers, but that is all. 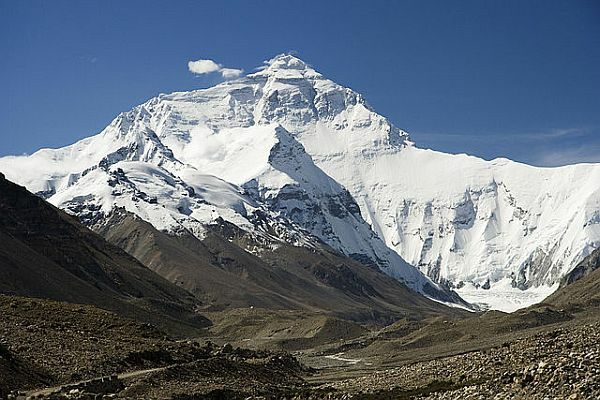 So, Mount Everest can run away from radiation no more.